2. Salt, Sugar and Alcohol, Oh My! Avoid these 6 daily mistakes that can lead to premature aging. Just like most changes in life, aging happens in almost imperceptible increments. And those small, everyday choices we make often leave unwanted traces on our face and body over time. The good news is that it’s never too late to tweak your habits. A few mindful updates will keep you looking and feeling your best, longer. Here are some of the most surprising mistakes you’re making and the simple swaps to rectify them. Find a professional fitter in your area, or head to a department store and invest some time. This will likely take at least an hour as you should try on dozens – if not more – of bras until you’ve come upon the most supportive, comfortable choice. Expert tip: Bring the types of garments you’ll most likely pair with each bra, such as a t-shirt, t-back tank or strapless shirt or dress. “Sleeping bras” hold breasts in place as you lie in bed as opposed to letting them hang over your sides, which stretches ligaments out night after night and results in less-perkier breasts over time. “Unsupported breasts in time will uncouple the collagen in the skin from the underlying breast tissue, increasing the aging process specifically within the cleavage, leaving an aged, leathery look,” says Neinstein. Many types of sleeping bras are comfortable and even attractive. Don’t forget about those unattractive décolleté wrinkles that plague many women over 30. Skin in this area is sensitive, thin and susceptible to signs of aging. These wrinkles and crepey skin occur when you sleep on your side and one breast rests on the other, crushing the area in between. While “regular” skincare treatments such as moisturizers, retinoids and even chemical peels can yield varying results, a new option on the market has proven to help the area overnight: wear a medical grade silicone pad in the cleavage area while you sleep to smooth wrinkles out as you sleep. These also help prevent wrinkles from forming in the first place. While they may satisfy cravings, these substances do you no favors when it comes to aging, both long- and short- term. Salt, for example, increases blood pressure – the number one killer of women in America. It also causes water retention and bloating, resulting in under eye bags, tight waistlines and wan skin tones. “Sugar, in turn, can lead to obesity which can turn into diabetes,” says Neinstein, who adds that the sweetener also causes high blood pressure and weakens the skin by affecting tissues like collagen, leaving you more vulnerable to lines and wrinkles. If you must choose a sweet treat, go with dark chocolate, which contains flavonols – antioxidants that help your skin protect itself from UV damage (adios, wrinkles), free radicals (see you, sun spots), and increase blood flow (hello, dewy complexion). Feel like a cocktail? As always, moderation is key. Too much alcohol causes dehydration (not to mention thirst, weakness, fatigue, and dizziness). 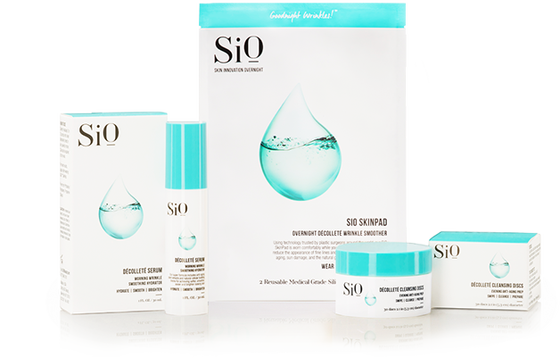 “The more you drink the more moisture is sapped from your skin, causing fine lines and wrinkles,” says Neinstein. Lessen the effects by having just one alcoholic beverage per hour with several glasses of water or juice in between, and eating (non-salty) food while drinking. Vodka and gin are the choices that are least likely to cause a hangover. Red wine and bourbon are the worst culprits. 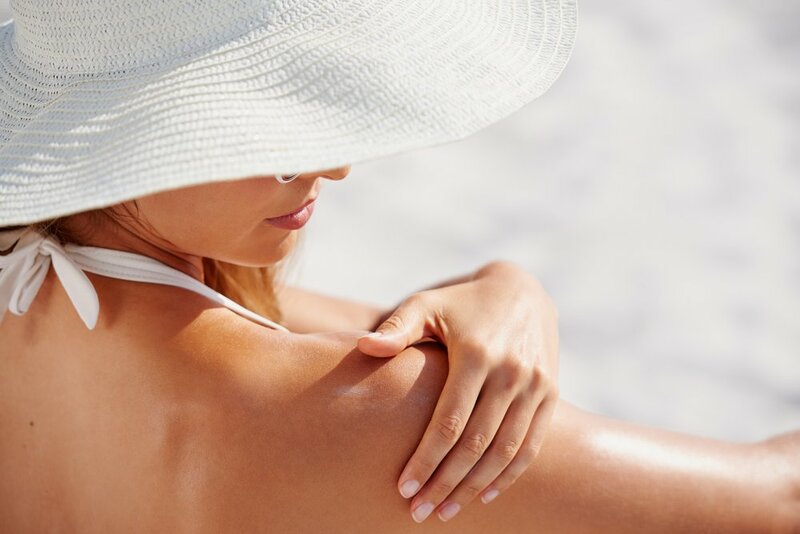 Despite the fact that one in five Americans will develop skin cancer in their lifetime, according to the Skin Cancer Foundation, people are surprisingly likely to forget sunscreen on the back of the neck, hands and feet. This lack of protection causes wrinkling, lack of smoothness, hyperpigmentation (age spots), skin laxity and a higher risk of melanomas in all ethnicities. The difference between these areas and other, more attended-to areas (like your face and shoulders) can be startling. Indeed, “I see many patients whose face looks like their daughters’ but their hands and neck looks like their mothers’,” says Neinstein. Thankfully, research points to two different breakthroughs that could help stop this unintentional aging. Consider the “sunscreen pill,” a breakthrough being engineered by scientists as we speak: a substance called gadusol, which is found in zebrafish, helps protect it from the rays of the sun. Combined with tropical ferns extracts, which are known for their through-the-roof antioxidant properties, these ingredients could help thwart the ravages of the sun on our skin. Stay tuned. Another advancement is a soon-to-be-launched phone app from Stanford which teaches a computer program how to recognize skin cancer moles so that users can diagnose themselves. 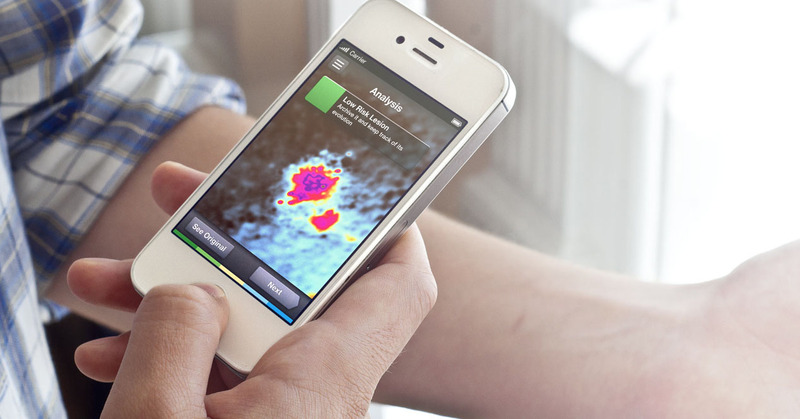 Apps that send images to doctors for a virtual diagnosis such as SkinVision and SpotCheck already exist today – these are ideal for people who are too far from medical care or don’t have the time or money for an in-person skin cancer screening. When it comes to cardio gear, there’s more than meets the eye. In fact, the type you choose can have a long-lasting effect on your skin’s health and appearance. “One problem I see in patients who do a lot of cardio without wearing the proper compression garments is skin irritation and even degradation. This may require heavy doses of steroids to settle down the skin,” says Neinstein. If purchasing the right compression garments means “keeping things in place” and less tissue jiggle, sagging and damage, count us in. Some options we prefer include Lululemon’s Tight Sensation line and Nike Power Speed Running Tights. They are also beneficial for achieving a better workout, keeping muscles warm to avoid strain, improving circulation and speeding up recovery time. Another plus? They squeeze muscles to improve performance. Who could argue with that? When done properly, non-surgical treatments such as Botox and fillers can subtly enhance beauty and improve the signs of aging. But when they’re done improperly or are overdone, they can damage our natural tissues. For instance, too much Botox can thin our facial muscles down to a slice of carpaccio. Overdone fillers can move structures like lips and cheeks into places they shouldn’t be, and give patients a cat or ape-like look. The key? Moderation. Even Gwyneth Paltrow says that she isn’t thrilled with the effects of Botox injections, which she claims make her look “crazy”. Not the look you’re going for? Make sure to tell your doctor to keep it light – you can always go back for more. 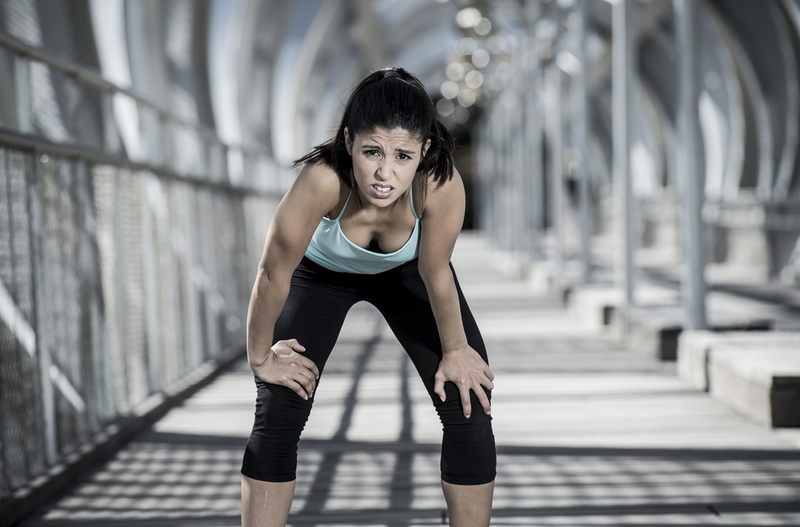 Pounding the pavement can give you a toned body, but what does it do to your face? Every time your feet hit the ground your body sustains a large amount of stress, which travels all the way up to your facial muscles and ligaments. Over time these can begin to sag due to this repeated stress. This stretched out, aged-looking visage is called “runner’s face” and is exacerbated if you exercise at more than 40%-60% of your maximum heart rate – intense cardio can cause more oxygen or free radical damage, which can break down the skin’s supportive fibers. The solution? Again, moderation. Run, step, and dance to your heart’s content – just do it on a treadmill or a soft surface such as grass, a dirt trail or sand.